The Russian Helicopters holding company ended 2012 solidly in the black with 9.4 bln rubles (about $300 mln) in profit, or 35.2% up on the previous year. Its revenue stood at 125.7 bln rubles (+21% year-on-year). The company explains its financial growth by the 10.7% increase in deliveries: 290 airframes of nine different types were delivered last year to customers in 19 countries. The firm backlog reached 817 helicopters by the end of 2012, worth a total of 359.9 bln rubles. 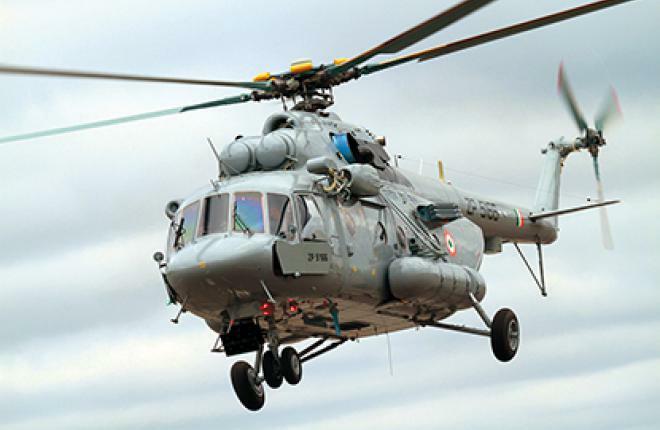 Russian Helicopters reported several major orders last year from India, China and Brazil. The company says its 2013 plan for deliveries is completely secured by firm orders. Revenues from helicopter sales amounted to 99 bln rubles, and revenues from services and support stood at 18.4 bln rubles. The solid financial indicators are also attributable to the fact that the company’s cash CAPEX decreased to 13 bln rubles (–5.5%). In particular, investment in production facilities dropped by 16.4% to 7.6 bln rubles.